Real Estate Update: How’s 2015 Doing So Far? It’s a great time for both home buyers and sellers in the Santa Clarita Valley. 2015 is barely a month and a half old, and yet the real estate community is abuzz with a lot of positive signs as we speed through February. First of all, with available housing inventory on the lower side of nominal (somewhere in the mid 500’s), most sellers are confident that they can sell their home relatively quickly at market rates, which climbed nearly 15% in 2014. Mortgage rates have bumped up (very) slightly, but are still well below 4 percent, which is great news for both buyers and sellers? Why is it great news for sellers? Well, for the most part, many sellers turn into buyers once they have their home in escrow, so the “win-win” is in full effect. Homeowners are excited as well, being able to take advantage of lower rates to refinance to a lower monthly mortgage payment, or access equity to make home improvements or other investments. We’re continuing to see mortgage loan applications jump as a result of low interest rates. 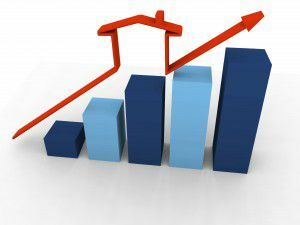 Other factors affecting the Santa Clarita real estate market. One of the biggest news stories coming out of the new year is the FHA’s decision to lower Private Mortgage Insurance (PMI) rates by about 35 percent, saving the homeowner who purchases with less than 20 percent down an average of about $900 per year. The FHA is also continuing with programs initiated last year that take into account lower credit scores that give buyers the opportunity to reduce their loan’s basis points over time. Is it finally time to buy a home? Time to move up? Downsize? Thinking about purchasing investment property? Our team of highly trained, licensed, full service agents are ready to handle all of your questions, and help you realize all of your real estate goals. Contact Montemayor & Associates at either of the numbers listed at the top of the page, or by using the Quick Response form below.